Athena's Shield. 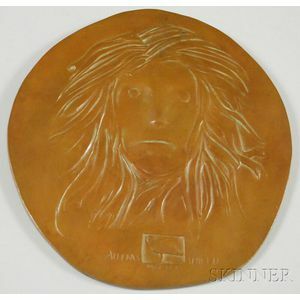 Signed "BASKIN" l.c., incised "15/250 ATHENAS SHIELD-LEONARD BASKIN-1969" on the reverse. 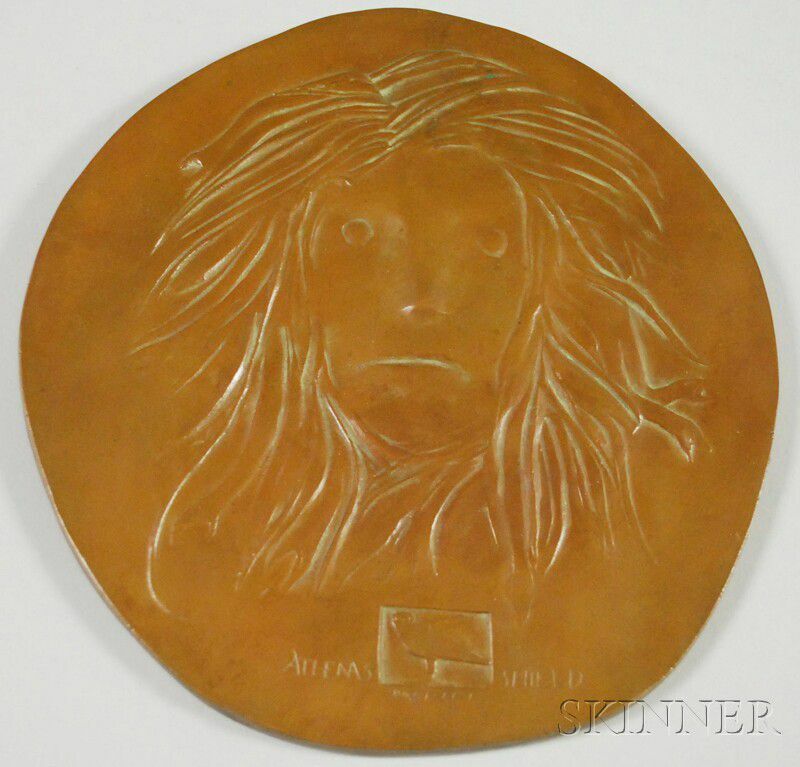 Bronze bas-relief with bronze backing, diameter 6 3/4 in. Condition: Dust to crevices.